In addition to plenty of knockouts, Floyd Mayweather Jr. brought personality back to boxing. Sure, boxing has not enjoyed the same popularity since Mike Tyson left, but there is still much left in the tank for the sport and Mayweather is a modern legend. 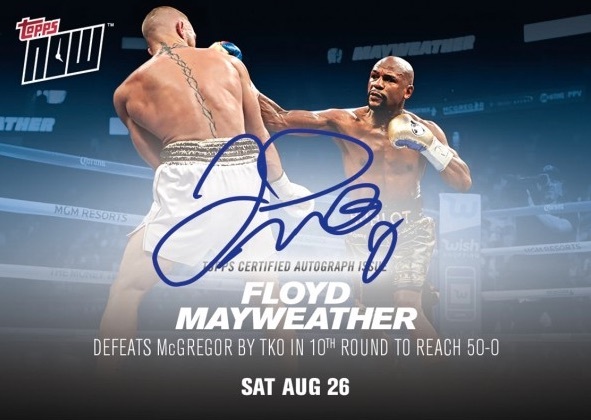 Collectors don't have a ton of cards available, but there are several appealing Floyd Mayweather cards to chase, including autographs. Considered by many as the best pound-for-pound boxer in history, Floyd Mayweather Jr. is still the biggest name in boxing. Undefeated after 49 matches, "Money" Mayweather had previously stated said he would likely retire but the lure of 50 wins alongside zero losses was too great to ignore. After dispatching Manny Pacquiao in 2015, Mayweather made it an even 50 wins with a TKO of MMA star Conor McGregor. 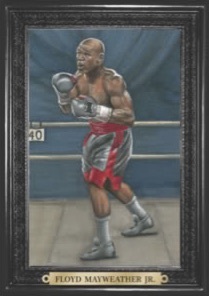 Buy Floyd Mayweather memorabilia and apparel on Fanatics. 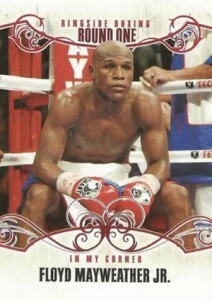 The following list includes some of the top Floyd Mayweather Jr. boxing cards available. 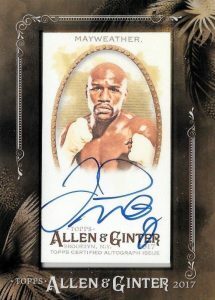 That includes Floyd Mayweather autographs in 2017 Topps Allen & Ginter Baseball. Even more cards were issued based on the incredible media exposure for the Mayweather vs. McGregor fight. 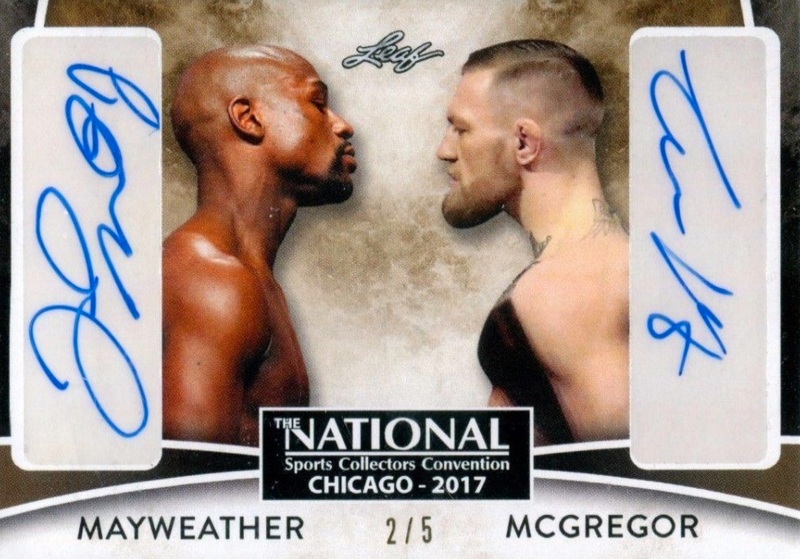 Topps made cards for the fight as part of their On Demand set and Topps Now offerings, including a limited autograph version. Click on the images or listings to shop cards on eBay. 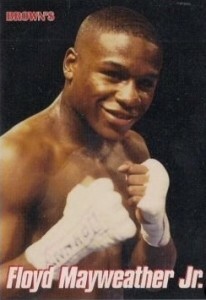 A key option for Floyd Mayweather Jr. is his earliest known card in 1997 Brown's Boxing. While it is not a huge name in the collecting world, the brand has earned a loyal following over the years, especially since mainstream boxing cards have not been issued with any consistency. 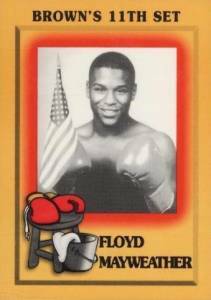 Most collectors view this inclusion in Brown's 11th Set as the true Floyd Mayweather rookie card and values can push very, very high. 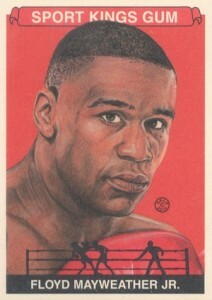 Floyd Mayweather Jr.'s second card also came from Brown's Boxing. Despite being less valuable than his first card, the 1999 edition is much more elusive. 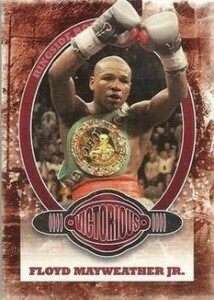 One of the biggest releases to feature Floyd Mayweather Jr., 2010 Ringside Boxing Round One actually contains four Mayweather cards in the base set. The main cards are shown below and collectors can also find several limited parallels for each. 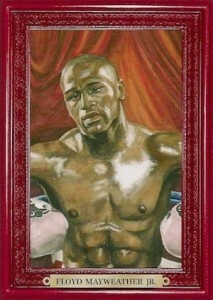 Also found in 2010 Ringside Boxing Round 1, two Turkey Red inserts are available for Mayweather. Featuring an artistic design and ornate frame border, these might be the most striking options for card collectors. 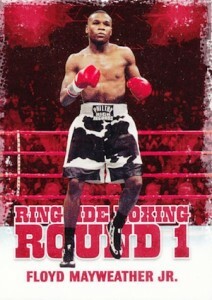 Releasing the same year as Ringside Boxing Round One, Mayweather was included in the base set for 2010 Sportkings. A few limited mini parallels are also available. 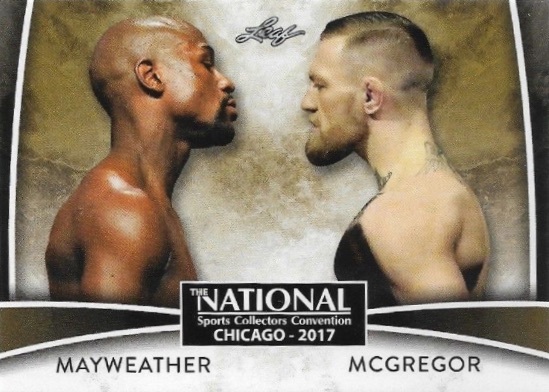 Part of the VIP ticket perks at the 2017 National Convention, this Mayweather and McGregor card from Leaf was the first to put the two fighters together. A very limited version with just five copies includes sticker autographs for both. 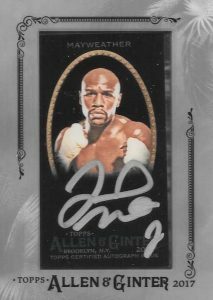 The only other Floyd Mayweather card to give his 1997 rookie a run for the top spot, 2017 Topps Allen & Ginter provides on-card autographs for the legend. Although the online-exclusive 2017 Allen & Ginter X release sticks with the same design, the silver frame, black card and silver ink give it a more striking appearance in comparison to the regular version. However, both sell very well.